I really enjoy watching knuckleball pitchers in general. 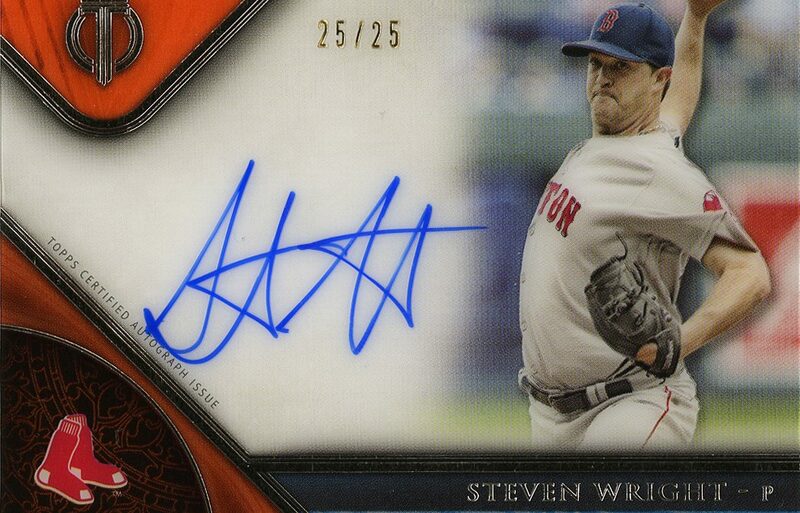 So when Steven Wright joined the Red Sox a couple years ago I was excited. I knew he was one of only a few pitchers actively throwing a knuckleball. Actually, I think at the moment it’s just two, Wright and R.A. Dickey. Regardless, the card industry took it’s sweet time making any Wright cards. He had a 2006 appearance in Bowman products (RC in Chrome, auto in Sterling and a base card in Bowman Heritage), but that was it. Three cards (and some parallels) in just that one year. He was traded to the Sox in 2011, had appeared in several games, but was never on a card until last year. 2016 Heritage High Numbered was his first Red Sox card. Appearing in the All-Star game last year finally bumped him up into card checklist status and his first Sox/Topps autos appeared in Topps Tribute over the winter. Unfortunately for Steven, 2017 didn’t start off well and he just underwent knee surgery. 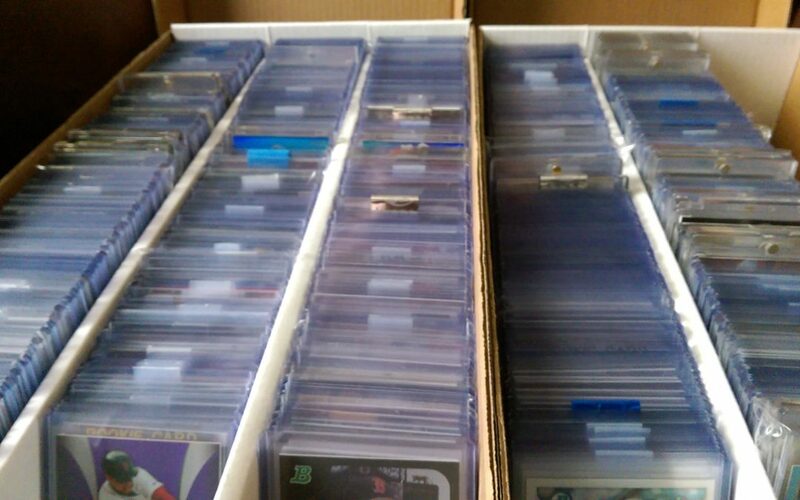 His season is done, but the silver lining for card collectors is that his card prices are at an all time low. I was able to pick up four awesome autographs for less than $10 total.